This statistic presents the share of consumers in France that either agree or disagree with the statement 'my online bank is secure in general' in 2017. 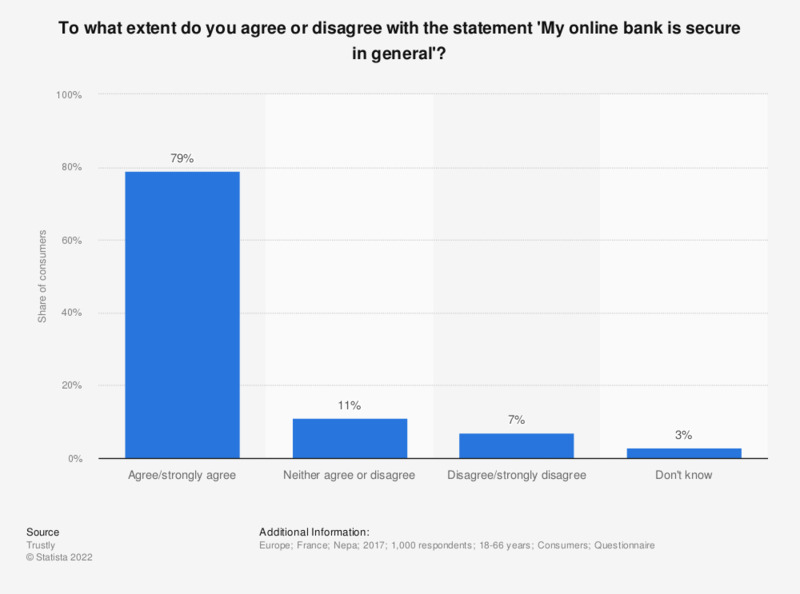 Of respondents 79 percent indicated that they believed their online bank is secure, whereas 7 percent of consumers did not believe their online bank was secure. The source does not indicate the date the survey was conducted. How often do you log in to your main online bank on average using the following methods? What are your main reasons for using your online bank?